We are called, by Holy Scripture and the Holy Spirit, to challenge all people to be fully devoted followers of Christ. Our calling includes both the introduction to and encouragement to remain in a life of full devotion to Jesus Christ (Colossians 3:17). We are charged with encouraging, equipping, serving and sustaining Christians. We do this by directly instilling our Christian philosophies, values, missions and goals in church members. Liturgical religious activities (e.g. preaching, worship services, service opportunities, events, community involvement) all serve as methods that First Baptist Hebron utilizes to instill our religious values and beliefs, both expressly and by example. 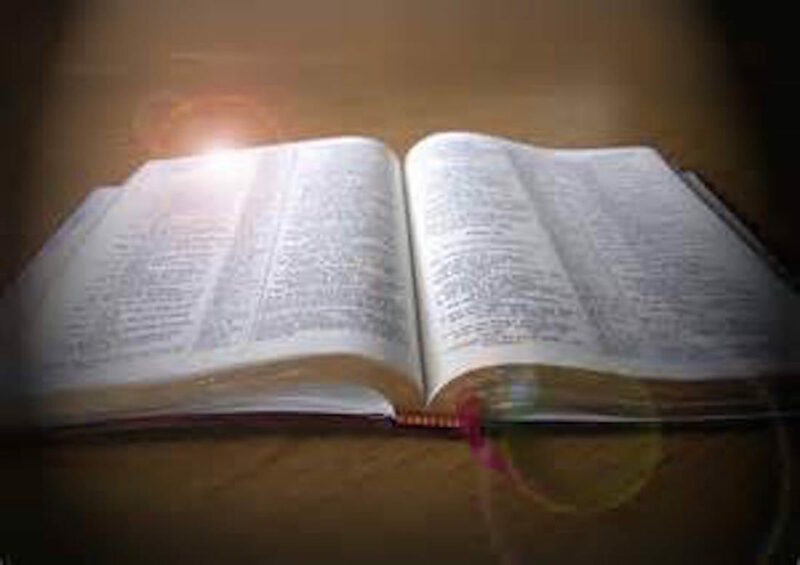 Guided by Holy Scripture and the Holy Spirit, non-liturgical ministries are grounded in the teachings, doctrines, Constitution, Bylaws, Articles of Incorporation, Purpose Statement, Facility Use Policy and Statements of Faith of First Baptist Hebron – and are therefore subject to all of its ministerial, membership, discipline and excision policies. We believe that our religious activity and religious worship derives meaning in large measure from participation in a larger religious community. For this reason, individual members of our body play a large role in furthering our mission and viewpoint as a church. We exist to foster a Christ-like environment of persons subscribing to our religious beliefs and faith. First Baptist Hebron is dedicated to serving and providing for its community, not simply engaging in organized worship (Galatians 6:10). Associating with likeminded Christians reinforces First Baptist Hebron’s Christian purpose and is vital to our faith’s perpetuation (2 Corinthians 6:14; 2 John 1:9-11; 1 Corinthians 15:33). We are committed to being and making disciples who understand what it means to follow Jesus Christ into a life of worship, fellowship, sacrifice, service and being led by the Holy Spirit (Matthew 28-19; Acts 1:8; John15:16; Mark 16:15). Therefore, we are also called to enable and equip the uncommitted and opposed to be fully devoted followers of Christ (Colossians 4:5-6; Psalm 96:3). Our mission as the body of Christ is to participate, share and encourage each other toward spiritual growth (1 Thessalonians 5:11; Hebrews 10:23-15; Colossians 3:16). Membership in our church requires a tangible commitment to our beliefs, purposes and mission as outlined in First Baptist Hebron Membership Policies, teachings, doctrines, Constitution, Bylaws, Articles of Incorporation, Purpose Statement, Facility Use Policy and Statements of Faith of First Baptist Hebron and are therefore subject to all of its ministerial, membership, discipline and excision policies, which are incorporated herein by reference, as fully set forth herein. First Baptist Hebron intends to transmit our system of religious beliefs, tradition, Christian morals, reverence and values. We do so by engaging in the community and individuals’ lives, acts of worship and through all activities in which we participate. Likewise, we believe that all behavior of members and representatives of the church is communicative in nature, exemplifying and expressing our faith, both publically and privately (1 Peter 2:12). Any member or representative who propounds a point of view contrary to our beliefs as stated in our Purpose Statement, Constitution, Bylaws, Articles of Incorporation, Code of Conduct and Statements of Faith, which are incorporated herein by reference as if fully set forth herein, will impair First Baptist Hebron’s integrity and ability to disseminate its religious views and message (James 4:4; 1 Corinthians 5:11-12). We take very seriously the Church’s charge to be a Christian presence in a secular world (Matthew 5:14-16). Therefore, all activities that First Baptist Hebron engages in are intended to further its religious purpose, as stated in our Purpose Statement. As such, all of our ministries are considered an outgrowth of the mission of First Baptist Hebron to preach, teach, evangelize and instill the Gospel message of Jesus Christ. We are motivated in all facets by our faith in Jesus Christ, attempting to serve as a reflection of God’s unconditional love for all people. We seek to honor the Lord in all that we do by operating First Baptist Hebron in a manner consistent with Biblical principles. Every activity and speech that First Baptist Hebron or its employees, representatives, volunteers or members engage in shall be consistent with, and in furtherance of, First Baptist Hebron religious purposes, both publically and privately. All activities in which First Baptist Hebron engages are for the religious purpose of furthering its Christian mission, message and viewpoint. Whether the activity has an overt liturgical religious purpose (preaching, worship, Bible instruction, communion, baptism) or a related non-liturgical religious purpose (social service activities, weddings, primary and secondary schools, or events), all activities of the Church are intended to glorify God (Colossians 3:17). First Baptist Hebron conducts all activities in a holistic manner in order to foster, repeat, advertise or express its Christian mission, message and viewpoint. In this way, every church activity itself is infused with a religious purpose, as an act of worship, intending to further First Baptist Hebron’s religious beliefs and commitment to the faith as outlined in its Articles of Incorporation, Constitution, Bylaws, Facility Use Policy, Code of Conduct, Statements of Faith and Mission Statement which are incorporated herein by reference, as if fully set forth herein. Conveying First Baptist Hebron’s Christian message is at the heart of all that we do, in life, deed, word and expression. First Baptist Hebron is dedicated to serving and providing for its community, not simply to engage in organized worship. Provision of charity and community services, including but not limited to care for children, widows, and those in need, as well as evangelism, strengthening Christian leadership, discipleship and Biblical education, primary and secondary education, are means of fulfilling Christian duty and providing an example of the Christ-like way of life that First Baptist Hebron seeks to foster (James 1:27; Mark 16:15; Titus 1:7-9; Matthew 28:19-20). Therefore, all behavior of members, representatives and volunteers of the church is communicative in nature, exemplifying the faith. Associating with likeminded Christians reinforces First Baptist Hebron’s Christian purpose and is vital to the faith’s perpetuation (Hebrews 10:24-25). Finally, the primary, exclusive and only purposes for which First Baptist Hebron is organized are religious in nature, including but not limited to conducting missions and services. Likewise, First Baptist Hebron intends to disseminate, teach and preach the Gospel and teachings of Jesus Christ, to encourage and aid the growth, nurture and spread of Christianity and to render Christian service. The recital of these purposes is intended to be exclusive of any and all other purposes, First Baptist Hebron being formed for religious and charitable purposes only.